Selling a home through conventional means can be stressful and surprisingly costly. When you’re struggling with debt or a huge lifestyle change, it may feel like selling your home — though necessary — is too much for you to handle. When you need help selling a home, many people will turn to real estate agents; however, there may be a better way that allows you to make money quickly and move on to the next chapter of your life. Selling a home to a real estate investor can be a viable option for many homeowners. Below, we’ll discuss just a few of the reasons why you might want to take it under consideration. It’s faster: A lot of homeowners will ask, “how do I sell my house more quickly?” One way is to work with an investor. If you go the traditional route, you’ll have to take time to fix it up, take photos, advertise, and hold open houses. Typically, this process can last six months or more. Then, when you find a buyer, you might be delayed even further due to financing issues. Some deals will even fall through at the last minute. When you need to sell property fast without any of the other nonsense, it may benefit you to work with an investor first. Selling a home to an investor can take only a few days in many cases. When you literally can’t afford to wait, we buy houses quickly so that you can get to the next phase of your life. You won’t pay commission fees: Although everyone wants to turn a profit when they sell their home, we tend to forget about all of the costs associated with a traditional listing. When you work with a real estate agent, you’ll usually owe a commission that’s based on the final selling price (or sometimes, you’ll pay them a flat fee). In the end, you’ll likely pay upwards of $10,000 to this agent for their work. 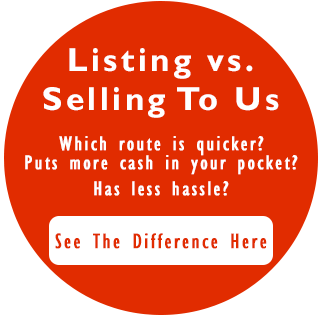 And if you try to avoid paying commission by listing your home yourself, you’ll likely have very poor results. But investors do not charge commission or any other hidden fees, which means what you get for your home is truly yours to put towards outstanding debts or starting anew. You don’t have to fix up your home: If your home is in need of some TLC, you might assume you’ll have to spend a lot upfront trying to fix it up. And with a conventional real estate listing, that’s true. But when you sell your home to an investor, you won’t have to do a thing. You don’t even have to get it professionally cleaned! Whether the roof needs to be replaced and the house needs a new paint job or you have a bit of water damage and need to refinish the floors, there’s no need to sink more money into your home. We buy homes as-is, meaning that we’ll adjust the price to reflect necessary repairs and make them ourselves after the sale is complete. 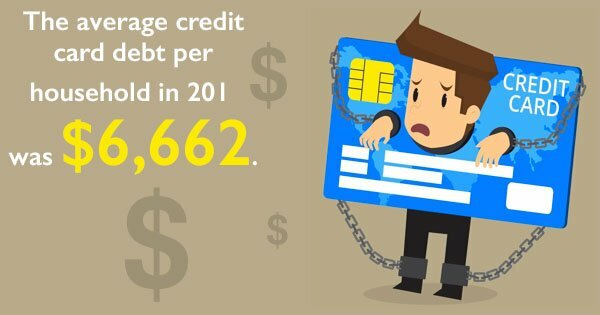 You can avoid foreclosure and/or bankruptcy: In the U.S., the average credit card debt per household in 2017 was $6,662. For many folks, credit card debt, medical bills, and even mortgage payments can be financially devastating. If you aren’t able to make your payments, you may think bankruptcy is in your future. Your bank may even threaten to foreclose on your house. When you aren’t able to negotiate your loan terms with your lender for something more economically feasible, you can sell your home to an investor. The money you make from the sale will not reflect the total value of your home, but if you have equity in your house, you can avoid foreclosure and get the funds you need to have a clean financial slate. Whether you’re under financial stress or simply need to move on with your life, selling a home with help from a real estate investor can allow you to get the relief you need without the wait. For more information, get in touch with Ittenbach Capital today.